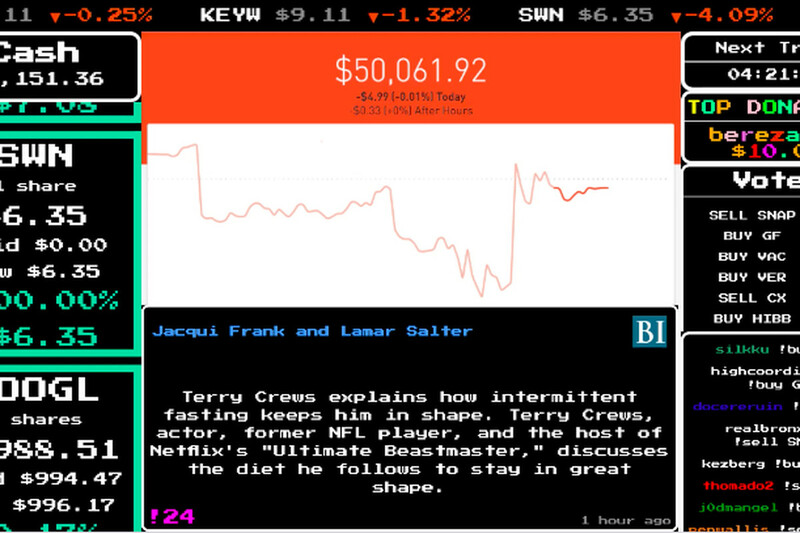 There is now the opportunity for Twitch viewers to play the stock market as the eSports broadcaster’s latest move lets the Twitch chat thread vote on where to invest one man’s $50,000. 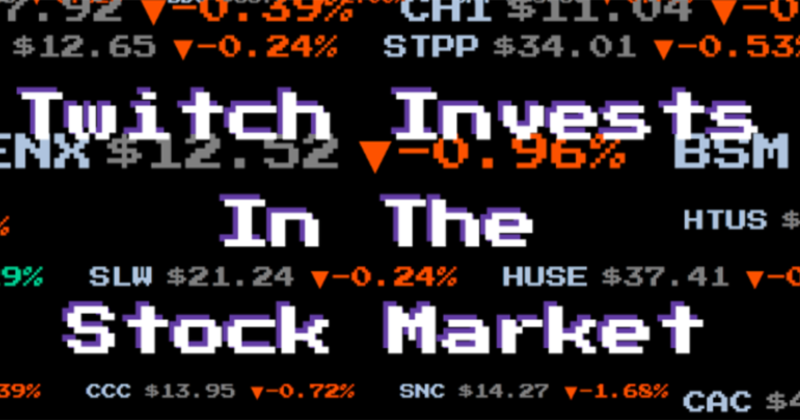 “Stock Stream is the words first cooperative multiplayer stock market game using real money…” Says Mike Roberts, the engineer responsible for building the software and setting up the experiment. The game starts at 9am every day on the opening of the stock market. Each 5-minute window represents a round of voting. At the close of the window the new software, specifically engineered for this social experiment called ‘Robinhood’, totals up the votes and actions the wishes of the people. Voting this way allows you to rack up points based on how well the stocks perform. Make money, and you win points. Lose money, and you lose points. It’s that simple and at the end of each day there is even a table to see where you rank as a player. The game will run for as long as there is over $25,000 left in the pot. When the pot drops below this amount, the game is over and the experiment will end. The software is fully automated so there is never even the need for Mike to carry out any work. He can check-in as and when he wants to, to see how his money is performing and how the game is tracking with the players. To join in you simply need to visit the Stock Stream website and follow instructions. It’s certainly not as thrilling as the eSport tournaments viewers are used to, but it’s definitely an intriguing social experiment and a unique was to use the platform. PowerStation Studios is a design studio that gets close to what really matters. We make sure that creativity stays creative and we enable you to tell the difference.